Setpoint I.S. offers training that is convenient for you with state-of-the-art facilities in Baton Rouge, LA; La Porte, TX; Port Arthur, TX. All courses include a full tour of our training facilities and a question-and-answer testing session at the end of each course to test the knowledge learned during training. Setpoint Integrated Solutions has the flexibility to accommodate your specific training needs, contact us at (225) 753.3290 to schedule training today. This course is designed to familiarize application personnel with basic control valve theory and application. This course is designed to familiarize application personnel with basic control valve theory and application. Topics covered include basic process theory, control valve designs, actuation, and instrumentation. Participants will obtain an understanding of basic control valve theory and the equipment used for process control. The material covers industry standards for control valve design and selection, types of control valves and trim design, and peripheral components such as actuators and instrumentation. Basic Fluid Dynamics: The participants will learn about the dynamics of gas and liquid flow through control valves, which includes flashing, cavitation, and noise generation. Control Valve Technology: In this section, the instructors give an overview of the different design styles of control valves and their appropriate applications (e.g. Rotary, Reciprocating Control Valves). Actuation Technology: In this section, the participants will get an overview of the different styles of actuation and their appropriate applications. Instrumentation Technology: The participants will get an overview of the accessories and the instruments used on control valve assemblies. In addition, the participants will learn about their functions and capabilities. Introduction: In this section the participants will get an introduction to the course and review the course agenda. Control Valve Sizing & Selection: The participants will learn how to use basic sizing equations to determine control valve capacity requirements. Instructors will cover the use of sizing software to simplify the process in order to perform more complex calculations. Facility Tour: In this section, the participants will get a tour of our facility. Testing & Q/A: At the end of the course, the participant will be able to test their knowledge they have learned in the training. In addition, the participants will be given the opportunity to ask the instructor any additional questions about the topics covered. This course is designed to familiarize application personnel with control valve application and selection. This course is designed to familiarize application personnel with control valve application and selection. Topics covered include flow sizing calculations, actuator sizing calculations, and appropriate valve type and trim type selections for various applications. Participants will obtain an understanding of control valve sizing and selection. The material covers industry standard equations for control valve sizing. Material also covers considerations for noise and cavitation. The goal of this course is to provide application personnel with the knowledge of the necessary information to properly size and select a control valve as well as the product knowledge to select the appropriate equipment. Level 1 Review: The participants will also get a refresher on the information covered in Control Valve Level 1 to get them back up to speed with the last course. The topics covered in this review section will be the design, components, and selection criteria of control valves. Control Valve Components: In this section of the course, the participants will get hands-on training on control valves. More specifically, the participants will obtain a more tactile understanding of control valves through physical dissembling and assembly of the valve. Inherent & Installed Characteristics: In this section, there will be a discussion about the difference between a control valves’ inherent characteristics and its installed flow characteristics. ISA Sizing Equations: In this section, the participants will learn about ISA sizing equations for incompressible and compressible flow. There will be an in depth review of the various calculations used for determining the required control valve capacity for a process. Actuator Sizing: The participants will learn about the force requirements for control valve shut-off and the generation of required forces by an actuating device. Advanced Sizing Selection: In this section, the participants will learn more about control valve sizing and will undergo an in depth discussion of the equation variables and appropriate values. This course is designed to provide application application personnel with in-depth knowledge of control valves and their interaction within the overall process. This course is designed provide application personnel with in depth knowledge of control valves and their interaction within the overall process. Topics include a control valve interface with process instrumentation, advanced noise and cavitation review, advanced methods for complex application requirements. Participants will obtain advanced knowledge of control valve and how they fit in the overall process loop. The material covers the interface equipment between the control valve and the process control. Also covered is the application of multi-component solutions to difficult applications, such as high noise or excessive cavitation. The goal of this course is to provide application personnel with the knowledge to properly size and select control valves and additional devices to deal with advanced application issues. Level 2 Review: The participants will get a refresher on the information covered in Control Valve Level 2 to get them back up to speed with the last course. The participants will review the design, components, and selection criteria of control valves. Control Valve System Integration: In this section, the participants will see how a control valve interacts with the process control systems in a world class flow lab. Process Instrumentation: The participants will be given a demonstration of the various sensing and feedback instrumentation, so that they have a better understanding of the different outcomes. Advanced Cavitation Study: In this section, the participants will go into a detailed discussion of the causes of cavitation in control valves and the different methods of control. Advanced Noise Study: In this section, the participants will learn about the generation of noise in control valves and the different methods for reducing the noise. All participants of this course will have a complete working knowledge of Safety Relief Valves and the terminology associated with SRV’s, the ASME Sec I, and ASME Sec VIII code. At the end of the class, the participants will have a complete working knowledge of a Safety Relief Valve, the terminology associated with SRV’s, the ASME Sec. I and the ASME Sec. VIII code. There will be a hands on portion of the class to learn the basic internals and why it is so important for SRV’s to be maintained. The class participants will also learn the basics of sizing and selection of SRV’s. Silent Sentinels: This video will serve to introduce the participants to Safety Relief Valves. Safety Relief Valve Technology (ASME Codes Section 1 & 8): This section of the training will get the participant to understand the inner working of a Safety Relief Valve in its life cycle. Consolidated Safety Relief Valve Product Line: In addition to getting hands-on instruction and demonstration, in this section the participant will learn about the Consolidated Safety Relief Valve product line. During this complete section, the participant will become familiar with what each application the products are used, along with knowing the inner workings of the valves. Testing Safety Relief Valves: This section will cover the actual testing of a Safety Relief Valve on a test stand. The participant will understand the importance of the proper adjustments that makes the Safety Relief Valve work properly in the field. This course id designed to teach theoretical analysis of Control Valve signatures to those who diagnose and troubleshoot Control Valve performance using diagnostics data and tests. schedule a training in your area! The goal of this course is to teach theoretical analysis of Control Valve signatures to those who diagnose and troubleshoot Control Valve performance using diagnostics data and tests. The course correlates the control valve mechanical assembly with the signature results, both graphically and numerically. 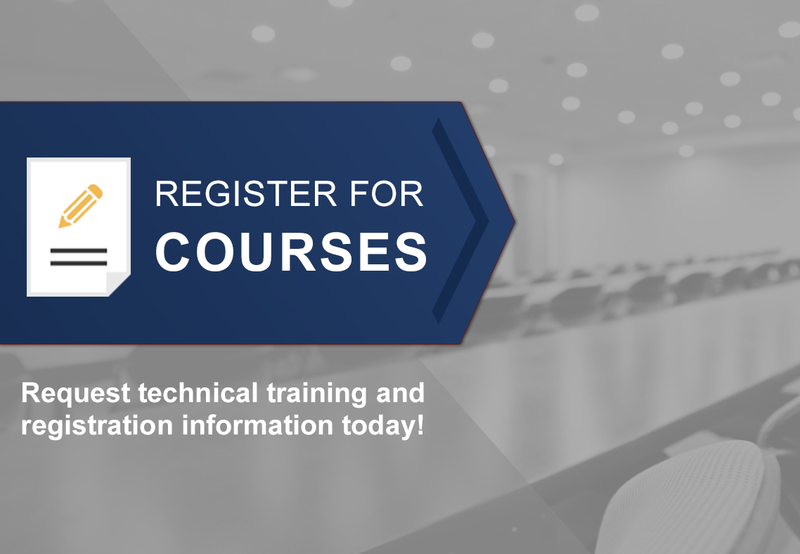 You’ll learn the theoretical analysis of signatures from case studies of linear and rotary type control valves, taught by 20+ years of experience. Introduction to Control Valve Signature Diagnostics course is based on ISA 75.26 standard. Control Valve Overview: Class participants will review the design, components, and selection criteria of control valves along with terminology, theory and application. Inherent & Installed Characteristics:Learn the basics of frictional and fluid forces in control valves and the basics on linear and rotary style control valves and actuators. Students will have a thorough understanding of terminology related to control valve performance. Control Valve Signature Analysis:Class participants will learnhow to read and analyze various XY valve signature graph and learn how to apply the signature analysis technique to unique applications. Control Valve Signature Diagnostics: Participants will learn more about control valve signature diagnostics and will undergo an in-depth discussion of the analysis and technique. Facility Tour: Participants will tour Setpoint I.S. facility, including the 36,000 sq. ft. asset management repair center, factory acceptance testing (FAT) area, guage repair center and Integrated Technology Center(ITC). Take a look inside the Integrated Technology Center, Setpoint Integrated Solution's World Class training facility located in Baton Rouge, Louisiana. Utilizing ValvKeep and ValvKeep Viewer as well as Valve Aware, Setpoint Integrated Solutions has the expertise to train you on Valve Diagnostics. Pressure protection in all its forms is improtant. Knowledge of Safety Relief Devices, such as Safety Relief Valves, Safety Valves, Rupture Discs, and other pressure protection devices abounds here at Setpoint Integrated Solutions. Jonathan is a process automation trainer at Setpoint Integrated Solutions and throughout his years of industry experience he has been in many roles. In addition to being a control valve, quarter turn, and smart instrumentation specialist, he also has experience with PLC / DCS platforms and SCADA control systems. He has primarily worked as an inside salesman, an application specialist, as well as a project manager for DCS and SIS systems. Mark is one of the primary instructors for the Control Valve Training courses. With just under 30 years of industry experience, Mark has worked as a control valve technician, parts salesmen,valve automation specialist, manufacturing engineer, and as an applications engineer.